Ever since the Additional Buyer’s Stamp Duty (ABSD) in Singapore was introduced back in December 2011, there has been an increasing number of property buyers looking for ways to avoid paying ABSD. For most cases, these groups of buyers are usually looking at properties as a form of investment in the long run. In order to keep such activities in check and to ensure that property prices don’t outrun the economic fundamentals of the nation, such measures have to be taken. Various methods have been introduced by realtors, bankers or real estate professional over the last couple of years to help property buyers avoid ABSD and leverage on more financing options. These methods usually involve restructuring one’s current assets or portfolio. However, time and time again, the government has patched these so-called ‘loopholes’ and existing policies – which makes buying a property (in most situations a second or subsequent residential property) in Singapore increasingly tough for property buyers and speculators. So to-date, is it still possible for anyone to avoid ABSD? Yes. But before that, let us look at how much is the ABSD in Singapore. This is the ABSD chart showing the latest ABSD stamp duty rates for individuals, corporate entities and housing developers – payable to IRAS. The above rates in the ABSD chart are based on the latest round of property cooling measures which took effect on 06 July 2018. So assuming you are a Singapore Citizen wanting to buy a second residential property in Singapore. Based on a purchase price of $1 million and the existing ABSD rates, the amount of additional stamp duty which you are required to pay is $120,000 (12 percent of the purchase price). Now you can see why some buyers are eagerly trying to find ways to avoid ABSD or try to save as much as possible – be it buying a new launch condo or buying a resale property in Singapore. Therefore, here are 2 of the most popular methods on how to avoid ABSD. This is by far the most popular and widely used method by most couples who jointly own an existing private property. First of all, the term “decouple” doesn’t necessarily mean that you need to actually file for a divorce with your husband/wife. The decoupling method means you will be transferring or selling your existing share of the property to your other partner or co-owner; vice versa. For instance, if you are buying over your co-owner’s share of the current property, you will be required to pay whatever CPF amount (with accrued interest) that is being utilized for the funding of the current property. It’s not really a big deal because, at the end of the day, your partner will be using this amount (which you’ve paid to his/her CPF) to purchase the next property once the decoupling is done. As for the amount, you can easily find out by logging into the CPF website using his/her SingPass. In addition to refunding the CPF monies, if there’s still an outstanding mortgage for the current property, the bank will have to do a re-assessment of your financial status in order to determine if you have the financial capability to handle the rest of the outstanding mortgage on your own. Then again, if your current property has already been fully paid off and there is no CPF used for the current property, you can easily just transfer the ownership by the way of gift. Something to note if you are using the decoupling method. Once the decoupling process has been completed, you are technically assuming a brand new ownership status to the current property. Thus, you will be subjected to the Seller’s Stamp Duty (SSD) if you were to sell the current property within the first 3 years from the date of transfer. The decoupling method to avoid ABSD is actually simpler than what most people think. However, there are still plenty of things to take note of. 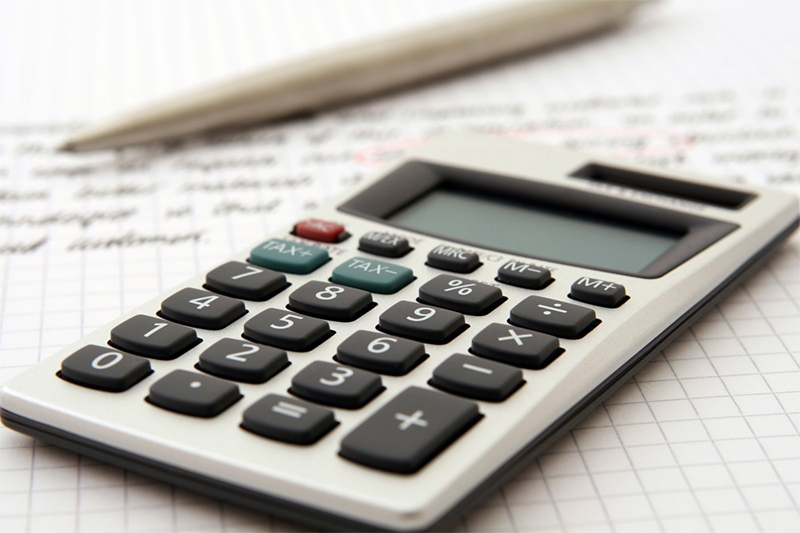 If you get your financial calculations correct, do you know that in some cases, it will actually be much better (or cheaper) to pay the ABSD for your next property than trying to decouple? However, if your current property doesn’t really have much sentimental value and it’s already making paper gains, it’s always good to consider selling and buy two other properties (with more growth potential of course). But do make sure that you have done your sums and research thoroughly! Before I explain this method, please note that in order to buy a property through a trust, you need to have plenty (actually I mean a relatively large sum) of cash on hand. This is an incredibly popular method for the affluent class of buyers who wish to buy a property for their children, especially for those who are below 21 years of age and can’t own the property legally under his/her name. Use their CPF funds as it can only be used for purchasing their own property. Obtain a mortgage loan to finance the property as they are the only the legal owners and the child is the beneficial owner. The parents are using this method to hold the property ‘on trust’ as the trustee, which actually allows their child to own the property as a beneficiary. Not to make a secret profit from the Trust or gain any profit for himself/herself. Act with honesty and shall not misappropriate trust funds. Render a proper account of his/her dealings; provide all information and accounts to the stated beneficiary when requested. In short, the property belongs to the child and the parents (the trustee) are accountable to the child. For instance, if the property is being used for investment purposes (i.e rental), all proceeds or income generated from this property will have to be accounted properly and the beneficiary has all the rights to these monies. If the trustee is unable to fulfill his/her powers and duties under the Trust, the beneficiary may lodge a civil suit against the trustee for breaching his/her duty. In other words, the child can actually sue the parents for not giving him/her the money generated from the property or for mismanaging the trust assets. Can you imagine your child is going to sue you for ‘misappropriating’ the money which technically belongs to you? There are a lot of technical details when it comes to buying a property through a trust. Things like drafting the terms and conditions within a trust, the rights of a trustee etc. We can go deeper into these if you are keen to find out more or you can seek legal advice from your lawyer. Then again as a professional in the real estate industry, we always advise that the vehicle of trust should not be used to evade ABSD. So use this method wisely and with a good cause in mind. ABSD remission means having your ABSD ‘cancelled’ or ‘suspended’ in some way. However, it’s mainly applicable to couples (must include a spouse who is a Singapore citizen) purchasing their first residential property in Singapore. For such cases, the couple need not fork out or pay the ABSD at all. This will be done by instructing their legal representative (which is usually the conveyancing lawyer handling your property transaction) to e-Stamp and obtain the remission certificate online. Another situation which a couple (of the same scenario as above) can apply for ABSD remission is when they are buying a second residential property while trying to sell off their existing property. Unlike the earlier case, the couple will have to fork out the liable ABSD amount upfront. They can make an application later on for the ABSD refund. The application must be made within 6 months from the contract date of sale of the first residential property. You can visit some of the common remissions and reliefs from the IRAS website. So when it comes to ABSD remission, please do not get confused and think that it’s some kind of exemption from ABSD. So is there any way which we can get ABSD exemption? Unfortunately, there isn’t any way which you can actually get ABSD exemption. Well, unless you are a Singapore citizen (or a citizen/permanent resident of Liechtenstein, Iceland, Switzerland, and Norway, or a citizen of the United States of America) buying your first residential property in Singapore, otherwise, you won’t get exempted from the ABSD. If you are looking into real estate investments within Singapore and don’t want to incur any or avoid ABSD completely, the only sectors will be the commercial and industrial properties. To date, ABSD will not be payable for acquiring these properties. Recently, there’s been seminars being held to ‘teach’ prospects how to own multiple properties in Singapore without paying ABSD. They are basically referring to industrial properties, so don’t get your hopes up on buying multiple residential properties in Singapore and yet avoid paying ABSD. Not a chance – at least for now! Hope you will find this article useful and please note that it only provides you with a general guide on the topic and do not tantamount to the provision of any legal advice. If you wish to find out more and whether any of these methods suit your objectives, please get in touch with us with the contact form below. Have a question on ABSD? Simply fill up the following form and we'll get in touch with you shortly!